Renewal by Andersen of Southeastern Mass and Rhode Island has led the industry in innovation for over a century, including the development of our revolutionary Fibrex™ composite. This material allows us to craft thinner frames and sashes to make room for larger glass panes to offer you a wider view of Providence’s scenic and historic beauty. We leave you with a breathtaking view of your surroundings from the comfort of your home. 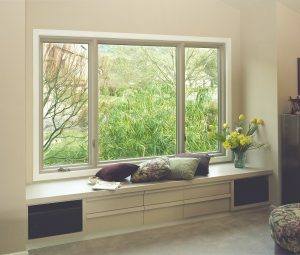 We here at Renewal by Andersen of Southeastern Mass and Rhode Island offer the widest array of replacement window makes and models. 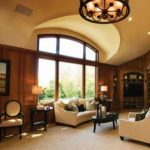 From traditional double hung, to picture, awning, and bow, we provide you with the capability to redesign your home with modern technology and architecture while retaining the old world charm. Allow the coastal breeze to fill your home with the fresh scent of ocean mist as sunlight pours through the panes. Insulated frames and Low-E glass will aid in reducing you heating bill month after month. We pay close attention to detail while finishing every project promptly. Enjoy the selection and quality of products and materials offered by national brands with the personal customer care expected of your local window company. Contact Renewal by Andersen of Southeastern Mass and Rhode Island to begin the renovation process in your home, whether it is to replace one or all of your windows. We dedicate ourselves to every project and engage in open and honest communication to deliver you the highest quality replacement windows and patio doors in Providence.